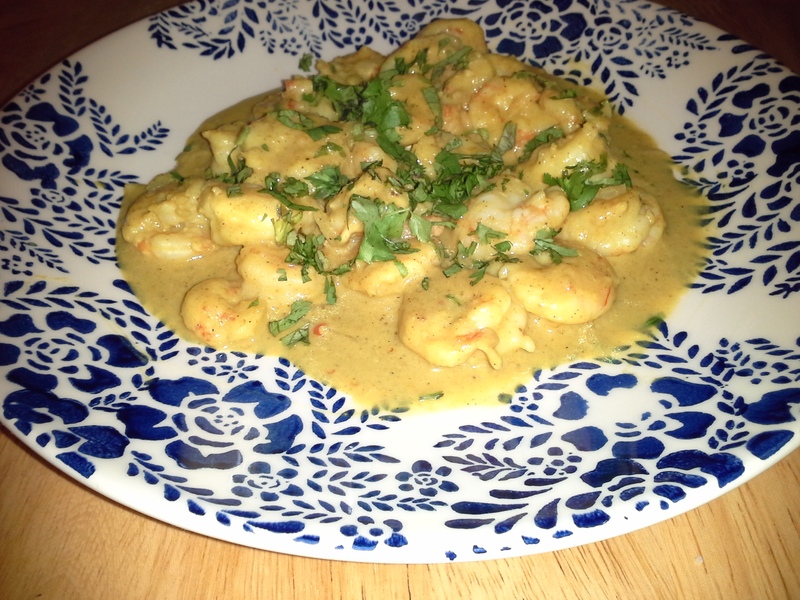 I’m a curry novice—and the ones I’ve had have been Thai influenced rather than Indian. So that’s why this recipe struck my fancy. And . . . O. M. G. was it YUMMY! 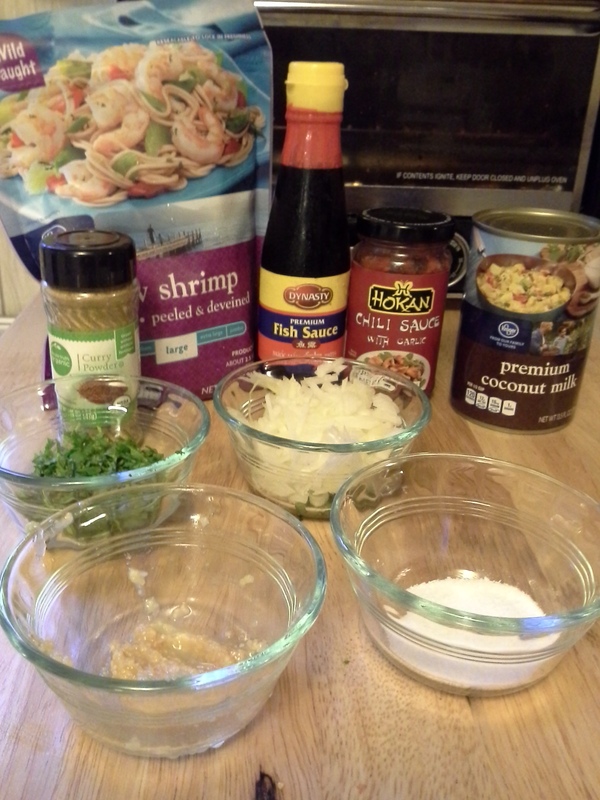 Add shrimp, fish sauce, and Splenda. Stir until fish sauce and Splenda are well incorporated and shrimp are coated. Simmer an additional 5 to 7 minutes, or until shrimp are cooked through but not overcooked. Stir in scallions, let simmer about a minute. Serve topped with chopped cilantro. 1 lb. shrimp makes 3 servings. I only had a 10-ounce package of shrimp, so I had a lot of sauce left over. Yay!!! Not sure what I’m going to use it for, but—YAY! This was so good! Next time, I’ll add a lot of vegetables to it and make it more of a main dish rather than just a few shrimp. Even with a side of Sautéed Bok Choy, I was still hungry afterward. While this does take a while to cook (thus my being extremely hungry when I finally sat down to eat), it was so good it’s definitely worth the time. I’d suggest using garlic powder rather than garlic salt. It has a very delicate flavor–you don’t want to overwhelm it with too much saltiness. Thinking this would be yummy with chicken – have to figure a substitute for the fish sauce, but yum!! You could probably substitute soy sauce.